The announcement came from State Senators John Flanagan and Kenneth LaValle, who both helped to secure part of the funding that will go toward the 100,000-square foot building. The building will include classrooms and labs along with modern day equipment and manufacturing shop spaces. Although Stony Brook has received $25 million, the university still needs another $75 million in order to begin planning the design and construction. “We still have to get more money from both the state and private donors,” Director of Capital Planning, John Fogarty, said. Stony Brook is one of the major producers of engineering graduates within the SUNY system, according to enrollment data on SUNY’s website. The number of students enrolled in the university’s engineering program has seen a 60 percent increase in five years, according to the press release. The new engineering building follows the goals highlighted in the 2013 Facility Master Plan. It provides guidelines for how to improve facilities on campus while improving programs in both academics and research between 2013-2023. “The administrators identified this as a top priority along with other initiatives in which it’s goal was to replace the old facilities with new ones,” Fogarty said. He added that the university has been trying for years to get funding from New York State, which included an application process, where the state then was awarded a grant. The funding for this upcoming project came from the State and Municipal Facilities Program, which provides funding for capital projects for both state and local entities. Students in the College of Engineering and Applied Sciences, viewed the news about the building as a positive sign. “I think it will be really great because many engineering classes here at the heavy engineering building are crowded, it takes students more time to get to classes in another building, so having a brand new building will be very efficient,” said Amr Ibrahim, a sophomore biomedical engineering major. 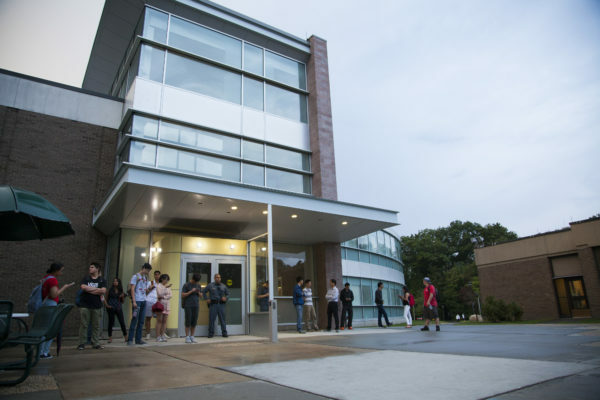 While Stony Brook is planning to move forward with building new facilities, there are existing buildings that are outdated. Buildings like Physics and Life Sciences were built in the 1970s and haven’t undergone any major renovations since. Right now, there is no official date to begin construction due to ongoing planning and the need for additional funding. “It takes up to one year of planning the design because of hiring architects and engineers, then it takes up to 2 years to construct so you’re looking at a three and half year window,” Fogarty said.